Take Home Whitening – If you choose this procedure, the team at Nashville Center for Aesthetic Dentistry will take an impression of your teeth and then make custom trays that fit snugly over your teeth. The whitening process will occur over the next couple weeks. Dr. Wells will give you a schedule for when to wear the trays and he will give you a whitening gel that you place inside during each use. Often, you will wear them overnight. One advantage of this method is that the whitening happens gradually so it tends to cause less sensitivity. 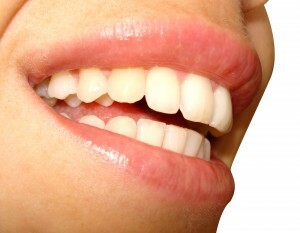 In Office Whitening – This is also known as Zoom or laser whitening. The great advantage of this method is speed! You can whiten your teeth by as many as 4-5 shades in one office visit. Dr. Wells will coat all of your teeth with a hydrogen peroxide solution similar to what is used in the trays but stronger. He will then use a light to speed the reaction. This is fast and efficient and you come out with a bright new smile; however, if you know you have sensitive teeth, then this may not be the procedure for you. There are many methods to help you obtain the smile you want, even if there are obstacles in the way. Be sure to talk to Dr. Dennis Wells about your options and he will be sure to lead you on the right path.